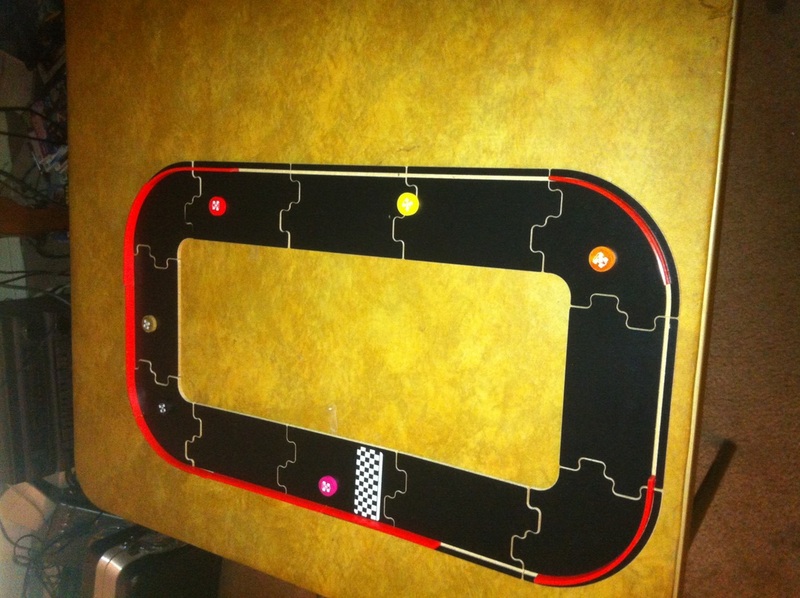 Mini Pitchcar is a smaller version of Pitchcar in which players build different tracks, choose a car, and pitch the car down the track. Players will select the best trajectory using the safety rails to stay on the track without incurring a penalty. The goal is to be the first to cross the finish line after a set number of laps on the track.